8 Ways You May Be Wasting Money and Resources on LPN Labels | ID Label Inc. Many operations use on-demand printing for certain barcode label applications. It can be a convenient way to include a variety of your pertinent product information, especially if your printing volumes are low and manageable. But in-house, on-demand printing has its drawbacks. 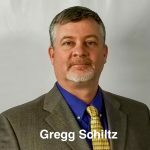 “The downsides that we hear most often are that it’s time-consuming, error prone and can be a real drain on your resources,” said Gregg Schiltz, ID Label’s general manager. 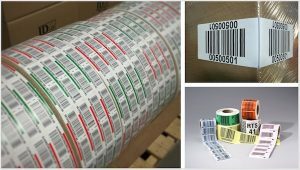 Preprinted warehouse pallet labels are manufactured with premium materials and smudge-proof ink, and are often less expensive overall compared to in-house labels. 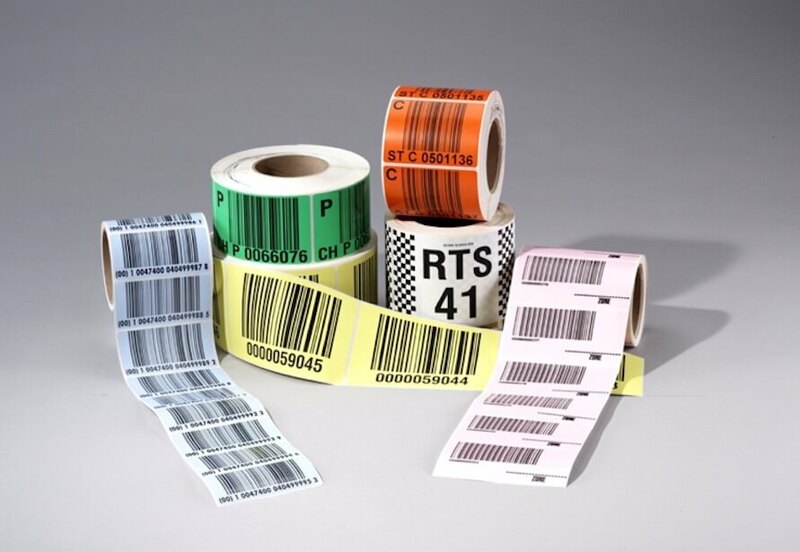 There can be many factors that go into the decision to print warehouse LPN (license plate number) or pallet labels internally or via a vendor. 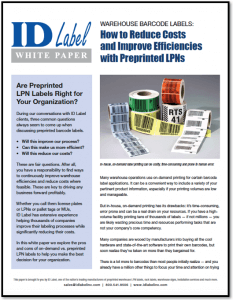 This informative ID Label white paper explores the pros and cons of in-house printing and detail eight ways you may be wasting money and resources on LPN labels. We encourage you to download it today.